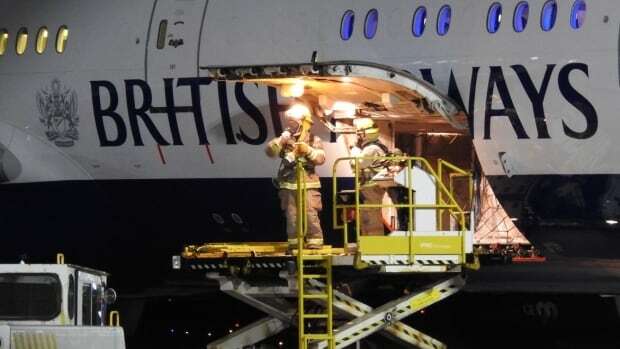 The flight was a few hours in the air — it had left JFK International Airport in New York City, head for London’s Heathrow Airport — when the pilot announced there may be a fire in the cargo area. “We were just told pretty quickly by the captain that there’d been an alarm — a potential fire — in the forward hold, and we were diverting back to Canada, which took about an hour,” said James Sterling, one of the passengers. Sterling said it took about an hour from the announcement to touchdown on the tarmac at the St. John’s airport, around 2:30 a.m. local time.